A substance found in the yellow-coloured spice powder called curcumin can protect against Alzheimer's disease. Turmeric powder may help keep the brain healthy, two new studies from US reveal. Researchers at the Vanderbilt University Medical Center in Nashville and Shiga University of Medical Science in Otsu, Japan reported in the Journal of Alzheimer's Disease that a substance found in the yellow-coloured spice powder called curcumin can help remove beta-amyloid plaques - the toxic proteins responsible for Alzheimer's disease - from the brain. Amyloid beta, a protein fragment found in the fatty membrane surrounding the nerve cells, is produced during normal brain activity and is also cleared from the brain regularly. However, these proteins build up into plaques as people age. Development of the protein plaques damages and kills brain cells and destroys important function of the brain including memory. "Curcumin has demonstrated ability to enter the brain, bind and destroy the beta-amyloid plaques present in Alzheimer's with reduced toxicity," senior author of the Dr Wellington Pham, said in a news release. Efforts to reduce accumulation of the protein were unsuccessful as the small molecules developed for this purpose failed to cross the blood-brain barrier, which protects the brain from dangerous substances. In the new study, researchers designed a molecule similar to curcumin called FMeC1, in a form to be delivered directly into the brain. "The advantage of the FMeC1 is that it is a perfluoro compound, which can be tracked by the biodistribution in the brain noninvasively using magnetic resonance imaging. Curcumin is a very simple chemical structure, so it is not expensive to generate the analog," Pham said. "In this way the drug can be breathed in and delivered to the brain." In another study reported by The City University of New York, curcumin cleared bad memories from the brain, The Daily Mail reported. For the study, Professor Glenn Schafe and colleagues scared rats with a particular sound. However, unlike the animals fed on normal diet, rodents which received curcumin did not show any fear, which indicated that the compound was highly effective in preventing bad memories being stored in the brain. Researchers expected that their findings will help treat psychological disorders. "This suggests that people suffering from post-traumatic stress disorder and other psychological disorders that are characterised by fearful memories may benefit substantially from a curcumin-enriched diet," Schafe told The Daily Mail. Similarly, curcumin has been found effective against breast and bowel cancer; heart disease and lung damage associated with premature birth. 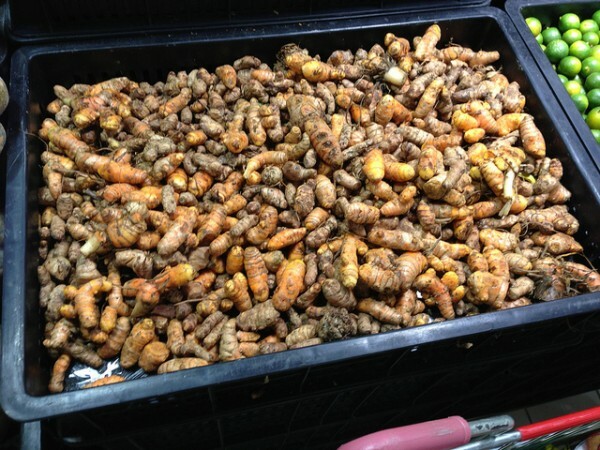 A recent study from Australia revealed in November that regular intake of turmeric improved working memory.